(CNS): The Information Commissioner has ordered the Department of Agriculture (DOA) to release a copy of the “Alliance of Marine Mammal Parks and Aquarium Standards and Guidelines” to a member of the public who made an FOI request and was refused. Despite claims by the DOA that the document was confidential Jennifer Dilbert said there was no evidence that it had been provided to DoA in confidence. She pointed out that as the document had been referenced as informing public policy it should be accessible by the general public. 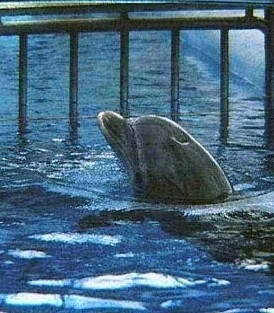 The document in question had formed the basis of the DoA’s standards for the management and treatment of the dolphins kept at the islands’ two captive facilities. Dilbert said the DoA had used the Alliance of Marine Mammal Parks and Aquarium (AMMPA) Standards and Guidelines to create its “Conditions Governing the Importation, Housing, Husbandry and use of Bottlenose Dolphins in the Cayman Islands” so it had to be made public. In the wake of a death of a baby dolphin at one of the dolphinariums in West Bay, the plight of these captive marine creatures once again hit the news headlines. However, CNS understands this request was made a considerable time before the first baby dolphin had been born and died in captivity. The concern of the member of the public was that the if the standards by which these dolphins were being managed was known only to members of the AMMPA as neither of the dolphinariums in the Cayman Islands is a member of the association how would they know what the standards are. Both facilities that have the captive dolphins have gone on the record as stating that their facilities are managed to the highest standards in the world and cited these AMMPA guidelines and this is further emphasised by the guidelines being referenced by the agriculture department. But as this document remains secret it is impossible for anyone in Cayman to check whether this is indeed the case and or even how the owners of the non-member facilities could know with any certainty what these standards were. Dilbert confirms in her ruling that neither Dolphin Cove nor Dolphin Discovery are members of the AMMPA but that yet the DoA still advises in its policy document about dolphins that the guidelines form the basis for local policy. “…persons interested in importing bottlenose dolphins for public display in the Cayman Islands [are] required to satisfy certain conditions prior to [being] granted an import permit”. These conditions state that “the guidelines referred to in this document are the Standards and Guidelines (2003) document of the Alliance of Marine Mammal Parks and Aquariums (AMMPA)”. Despite using the document to create local policy the DoA said it accessed the guidelines from the AMMPA on the basis that it kept the document secret and in particular from those organisations in Cayman that were objecting to the establishment of dolphinariums. The IC said she found that the information is a set of standards and guidelines, the purpose for which is to help ensure best practice in the care and maintenance of marine mammals and it was unreasonable that it would be confidential. “I would not expect that a reasonable person would regard the document as confidential. The supplier has indicated that its usual practice is to keep the document confidential, but similar bodies do make their equivalent documents publicly available. The recipient has not treated the document as confidential,” Dilbert said in her ruling. She also added that it was difficult to see how a document can be meant to “enhance and compliment…government standards for the care and maintenance of marine mammals” and at the same time be considered confidential. Ordering the release of the document within t45 days of her ruling the DoA now has until 3 June to reveal these standards and guidelines to the public. This was Dilbert’s third decision made under the Freedom of Information Law (2007). The Information Commissioner is responsible for monitoring and enforcing compliance with the Freedom of Information Law by over eighty public authorities. That law gives the public the right to request records in the custody or control of a public authority, and requires that authority to provide the record within 30 days, unless one of the limited exceptions to disclosure applies. Individuals who are dissatisfied with the response of the public authority to their request may file an appeal with the Information Commissioner. Release the dolphins for God’s sake! stop the greed…..
Long Live FREEDOM OF INFORMATION! The icing on the cake is that we are in a financial crisis, the government needs all of the funds it can get, but the Government has overseen the illegal operation of both dolphin keepers – neither dolphin operation has the required Operating License to be issued by the Department of Agriculture. Minister of Agriculture please explain how your Department of Agriculture allowed the dolphin parks to import dolphins then open and operate their parks now for nearly 11/2 years without obtaining an "Operating License" as required by the Animals Law? Another Law violated by Government! And to think the government once labeled the FOI Law and the Information Commissioner’s Office as a “nice accessory”. Hopefully they don’t now react the same way as they did with the Auditor General! If anyone is interested in finding out how bottlenose dolphins are sourced for the dolphin display industry please watch "The Cove". The days of the secret Cayman Islands Government are numbered. Thanks Mam for doing this, now Government will begin to understand that Freedom of Information means Freedom of Information – wow a law that means what it says! – the DoA said it accessed the guidelines from the AMMPA on the basis that it kept the document secret and in particular from those organisations in Cayman that were objecting to the establishment of dolphinariums. Answer: All of the above are true. And each contradicts the other in some fashion. Thanks DOA! Does that mean Dead On Arrival? Or Department of Agriculture? These facilities are a disgrace and should be shut down! I guess if the report/guidelines were obtained by the private sector using private money then they had a right to keep it confidential. However, yet again this seems like the Government not expecting us to see what we pay for. Good result Jennifer thank you.